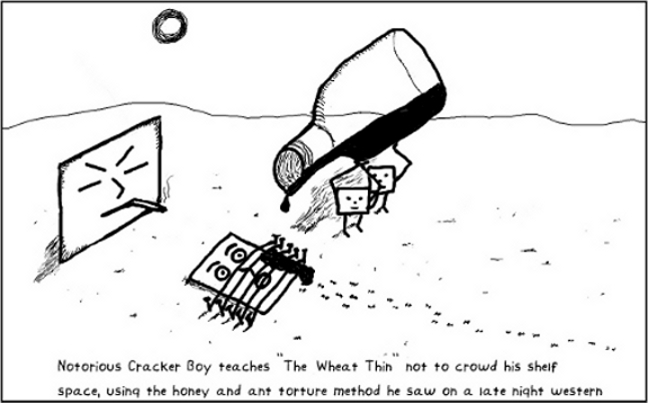 You should see them try to shackle Cracker Boy. 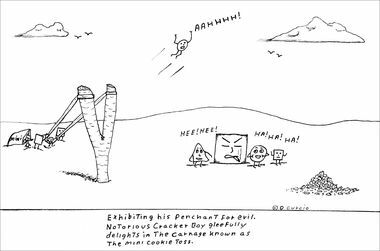 The breadcrumb factory is certainly better than digging a hole in a swamp. I’m sorry. I’m a sucker for puns. 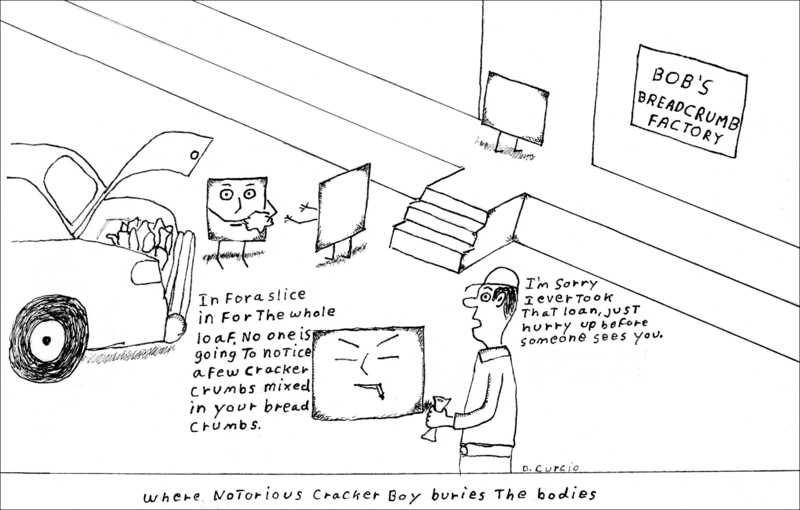 The evil that Notorious Cracker Boy is capable of never ceases to astonish me. 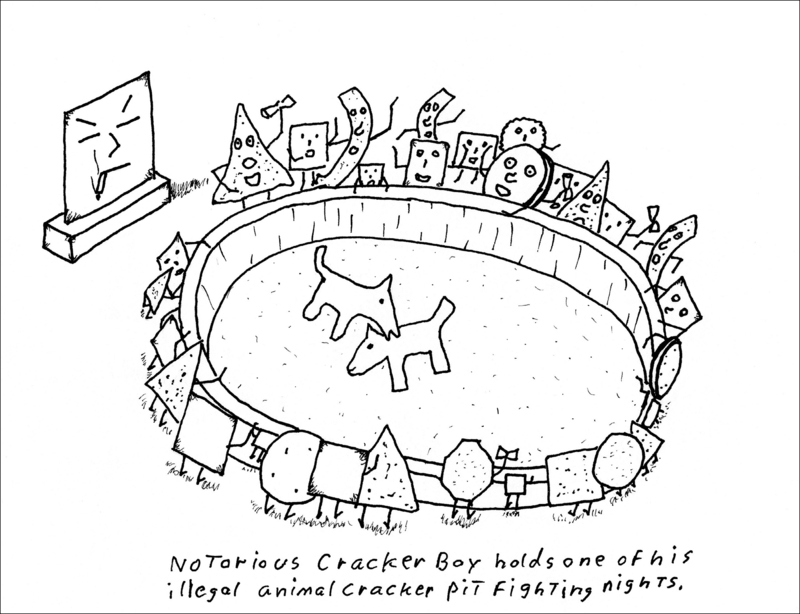 Notorious Cracker Boy doesn’t take kindly to other crackers encroaching on his shelf space. 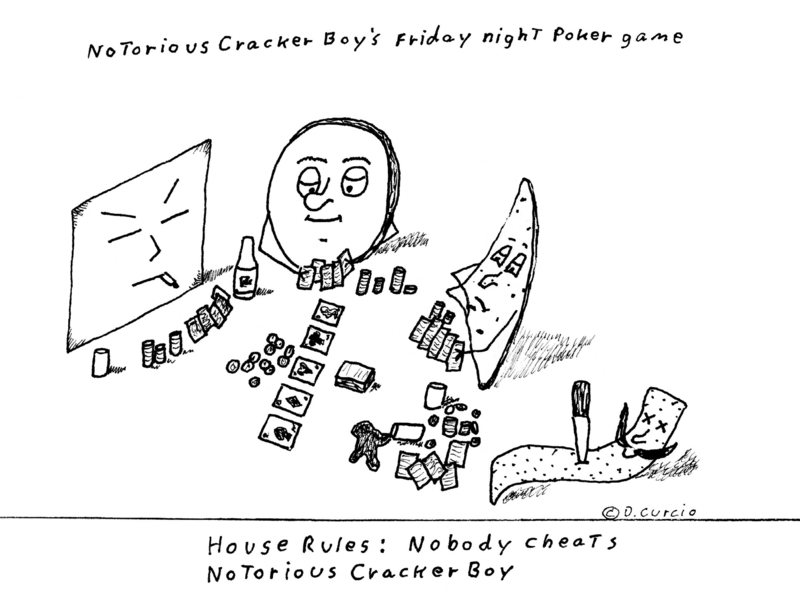 Notorious Cracker Boy may be the “Scourge of snack foods” but even he makes mistakes from time to time. 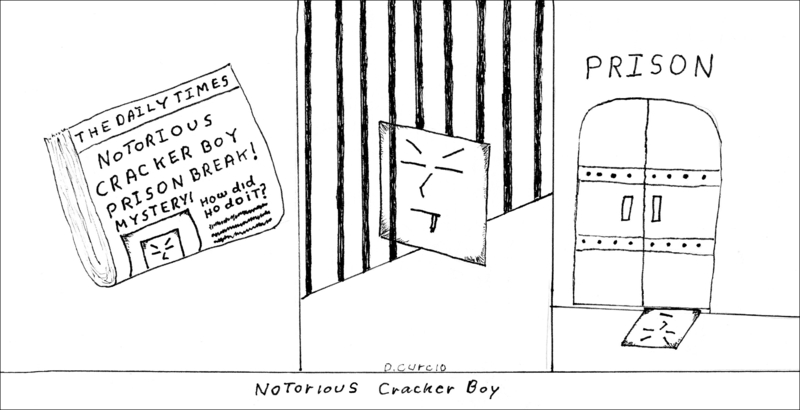 Will Cracker Boy finally be brought to justice? I’d turn him in for a million dollars. It may not look like much but the Cracker-mobile is a mobile crime lair, equipped with everything a super criminal could need. Sort of like Willy Nelsons tour bus.